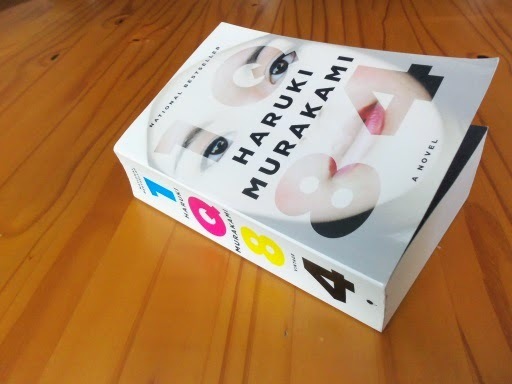 I love Haruki Murakami's 1Q84. To paraphrase the blurb: a love story, a fantasy, and a mystery - all rolled into a dreamy world. In the book, Tengo is a writer asked to rewrite a fantasy manuscript for an enigmatic girl. Aomame is a fitness instructor with special skills asked to do an unusual job. Their lonely paths intertwine in this surreal world, both searching for something they yearn for. And there's a dangerous religious cult. Like Aomame, who can't quite explain the world of 1Q84, I can't fully articulate why I like the book so much. But I shall try. The story is imaginative. There is no formulaic plot with just the characters and the settings changed. The characters are deeply carved. Murakami tells you a lot of backstories about how they grow up, what they like, how they act. By the end, I really knew the two main characters, liked them, and rooted for them. The setting is intriguing. Everything seems normal, but the details are off just enough for you know that everything is not normal. The prose is simple, clean, and easy to read. How fitting, since Japanese aesthetic tends toward minimalism. I read the English translation, but I wondered how the book would read in its original Japanese. A few of the similes were lost on me, but that was understandable since cultural references are often not transferable. My favorite is Fuka-Eri. She is odd, devoid of normal emotions. When she asks questions, she is described as asking them without question marks. That amuses me. The vast majority of books are too long. Few are too short. Normally I'd groan at the prospect of reading a book that's 1,100+ pages, but this book never felt too long. If anything, I was bummed at the end because there was no more. Plans to read more Murakami? A most definite YES! He is the only author I'm excited about. However, I’m trying to read more scifi now as that is what I’m writing. So I have to postpone Murakami. But when I get to it, I may either read Norwegian Wood or his newest, Colorless Tsukuru Tazaki. If anything, I’m eager to see whether I like his stories in general, or just 1Q84.